The 2016 Budget affirms government’s commitment to close the gap between spending and revenue and implement a plan for stronger economic growth. The budget deficit will fall from 3,2% in 2016/17 to 2,8% in 2017/18 and 2,4% the following year. Debt stock as percentage of gross domestic product (GDP) will stabilise at 46,2% in 2017/18. Government will lower the expenditure ceiling by R10 billion in 2017/18 and R15 billion in 2018/19 by reducing public-sector compensation budgets. An additional R18,1 billion of tax revenue will be raised in 2016/17, with an additional R15 billion in each of the subsequent two years. Government has responded to new spending needs without compromising expenditure limits. 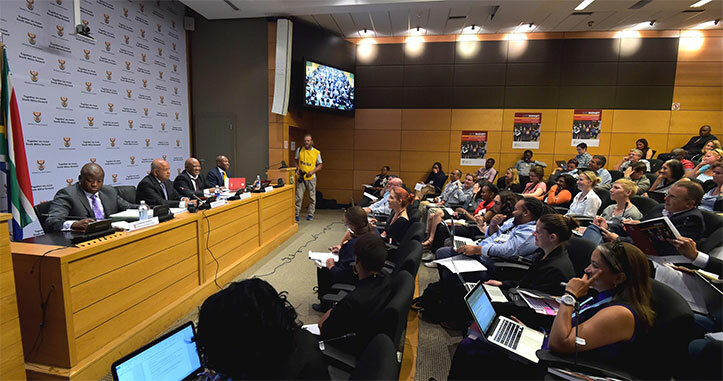 An amount of R31,8 billion has been reprioritised over the Medium Term Expenditure Framework period to support higher education, the New Development Bank and other priorities. R4.5 billion for National Health Insurance pilot districts. Limited fiscal drag relief of R5.5 billion will be implemented for individuals, focusing on lower- and middle-income earners. 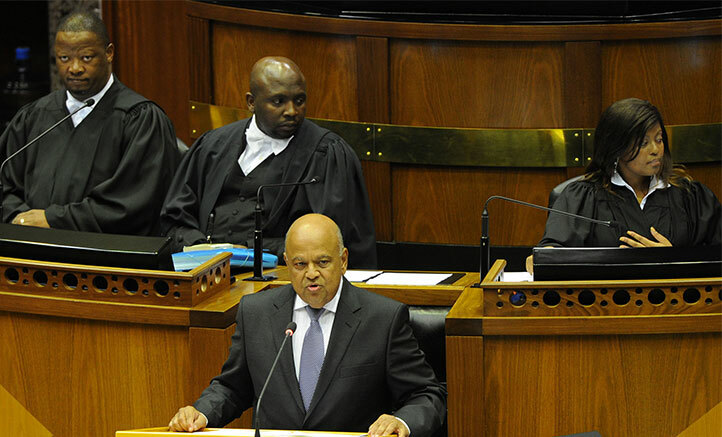 Adjustments to capital gains tax and transfer duty raise R2 billion. A tyre levy will be implemented, effective 1 October 2016. The general fuel levy will increase by 30c per litre on 6 April 2016. This will push up the general fuel levy to R2.85 per litre of petrol and to R2.70 per litre of diesel. GDP growth is estimated at 1,3% in 2015, 0,9%% in 2016, 1,7% in 2017 and 2,4% in 2018. This is considerably lower than last year’s estimates. Export growth is expected to grow by 9,5% in 2015, 3,0% in 2016 and 4,6% in 2017 while imports will grow an estimated 5,3% in 2015, 3,7% in 2017 and 4,5% in 2017. Consumer inflation will fall to 4,6% in 2015, accelerate to 6,8% in 2016 and is then forecast to consolidate somewhat at 6,3% in 2017 and 5,9% in 2018. Capital formation is forecast to grow by 1,1% of GDP in 2015, 0,3% in 2016, 1,4% in 2017 and 2,7% in 2018. Household consumption is set to grow by 1,4% in 2015, 0,7% in 2016, 1,6% in 2017 and 2,2% in 2018. The balance of payments will stay in deficit (-4,1% of GDP in 2015, -4,0% in 2016, -3,9% in 2017 and 2018). State Old-Age Grant from R1 415 to R1 505 per month. State Old-Age Grant for over 75s from R1 435 to R1 525. War Veterans Grant from R1 435 to R1 525. Disability Grant from R1 415 to R1 505.